Song of a Protean Shieldback (scroll down for explanation and additional recordings!). Protean Shieldbacks are among the most numerous of our native shieldbacks. 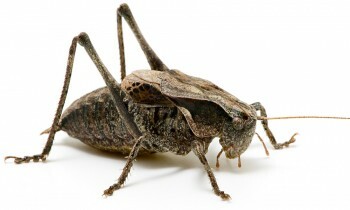 Inhabiting weedy fields with scattered trees, they are among the first of the katydids to sing in early summer, beginning in June in the southern portions of their range. 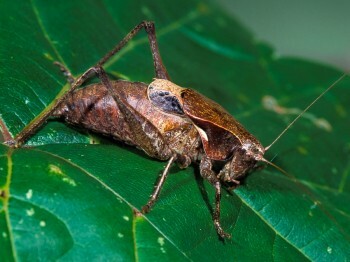 Males start singing from the leaf litter just before the sun goes down. As it gets dark, they gradually move up into trees or other tall vegetation and continue singing through the night. Protean Shieldbacks are easy to approach, but their habitats are typically dense, and reaching a singer can be exceedingly difficult, unless you’re a professional contortionist. Do not use it buy escitalopram canada after this time..
Song: A dry, rattling trill with a pulsing quality that is given continuously, though broken at sporadic intervals by very brief pauses. The peak frequency is around 15 kHz. The pulsating quality of the Protean Shieldback’s song is unique, and it allows for reliable identification of the species. Sonogram of a Protean Shieldback. © Wil Hershberger.